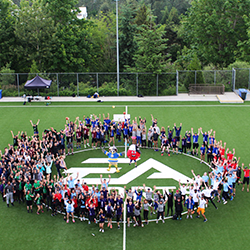 The 2015 motionball Marathon of Sport Vancouver welcomed 26 Teams of young professionals to EA Sports Field on Saturday June 6th for an full day of sport in support of the Special Olympics Canada Foundation! 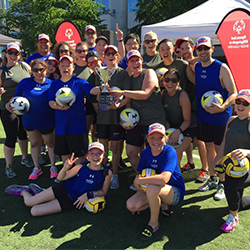 Participants enjoyed a fun day of athletic competition that saw motionball supporters compete alongside local Special Olympics British Columbia athletes in a variety of sports & activities including basketball, soccer baseball, flag football, bench ball and floor hockey. The playing field wasn’t the only place where athletes competed. Each team of 10 participants raised a minimum of $2000 ($200 per person) through pledges. Thanks to their incredible fundraising efforts we raised $80,000 net in support of the Special Olympics Canada Foundation! 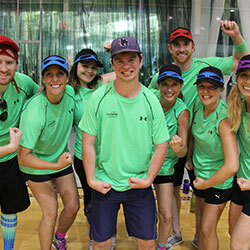 To pre-register your Team for the 2016 motionball Marathon of Sport Vancouver, please email Cassie at cassie@motionball.com. Are you interested in getting further involved with the motionball? We’re looking for young professionals to join the Marathon of Sport Organizing Committee! Please click here for more information. 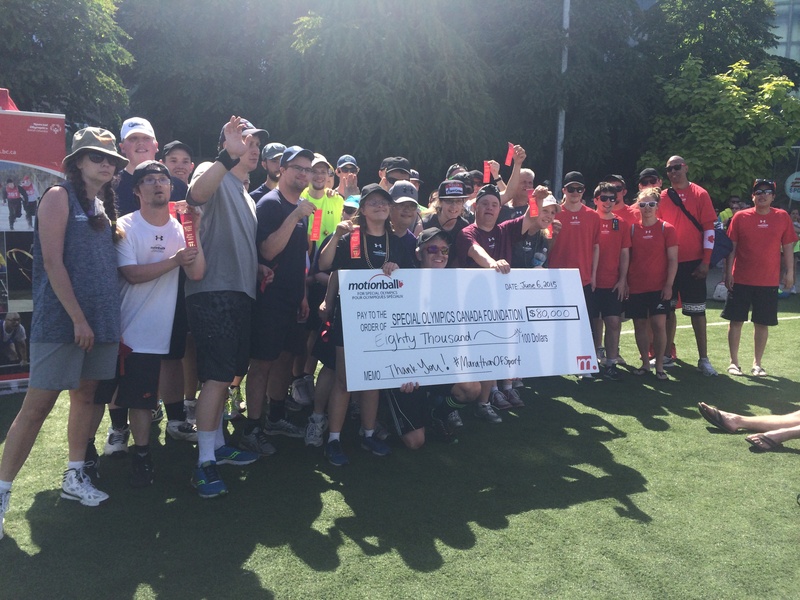 motionball is proud to have donated 70% of the funds raised from this event to Special Olympics British Columbia. This funding is directed to support programs for local athletes in the community. The remaining 30% was directed to the Special Olympics Canada Foundation, whose mission is to ensure the long term financial integrity of the Special Olympics movement in Canada and to fund long term athlete and volunteer growth. motionball’s mandate is to introduce the next generation of volunteers and donors to the Special Olympics movement through integrated social and sporting events. 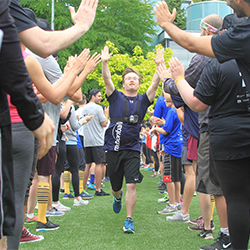 motionball now hosts 15 annual Marathon of Sport events in 15 cities across Canada, with over 380 teams and 5,000 supporters. motionball is proud to have donated $4.8m to the Special Olympics Canada Foundation since our inception in 2002. To learn more about motionball, please click here.